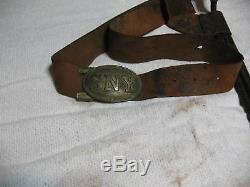 An Original New York State Militia Civil War Brass Belt Buckle, Mounted On An Original Intact Leather Belt, With The Original Brass Keeper. 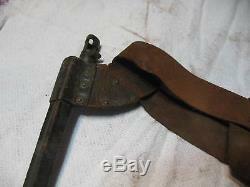 Attached To The Belt Is The Original Leather Frog With Bayonet. Rarely do you see a complete outfit like this one in such good to very good condition. 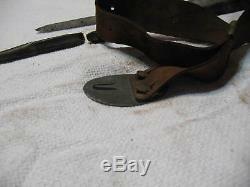 The buckle is in very good condition. 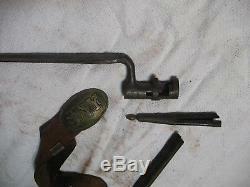 It has the leaded back and the three hooks. 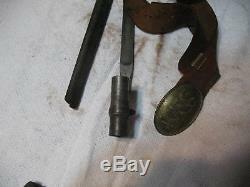 One of the hooks that is attached to the belt has a rounded over edge (see the photos). The initials I E C are scratched into the back of the buckle. The buckle is still attached to the belt. We didn't remove the buckle for fear of tearing the belt. 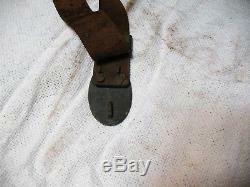 The belt, which does show wear, is in good condition, with no rips or tears, and is still flexible but the leather is thin and flaking (see the discoloration on the white towel). 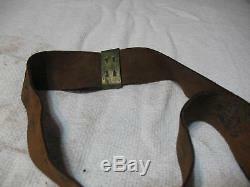 The belt has it's original brass keeper. The leather frog, which does show wear, is in somewhat good condition but the lower section of the scabbard has separated (see the photos). The frog has the original 7 brass rivets. 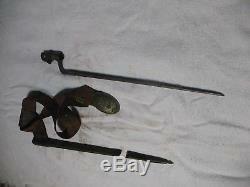 The bayonet, which is in good condition, is marked U. The bayonet has it's locking ring. 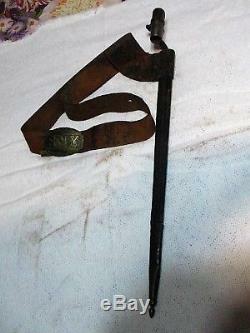 The bayonet does show some wear, some tarnish and a little pitting. We are a Multi-Dealer shop listed on Facebook. 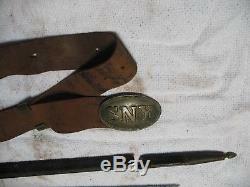 The item "Rare NY State Militia Civil War Belt Buckle, Intact Belt, Keeper, Bayonet withFrog" is in sale since Tuesday, December 4, 2018. 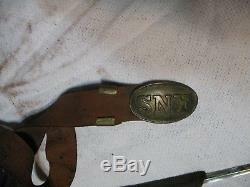 This item is in the category "Collectibles\Militaria\Civil War (1861-65)\Original Period Items\Belts & Belt Buckles". 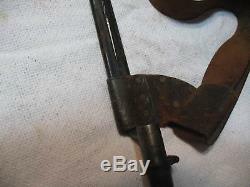 The seller is "ramyo" and is located in Corning, New York. This item can be shipped to United States.